LKMA provided construction inspection services as part of a Design-Build Team for the $28 Million reconstruction and widening of NY 347, between NY 111 and Mount Pleasant Road, on the Smithtown-Hauppauge border. 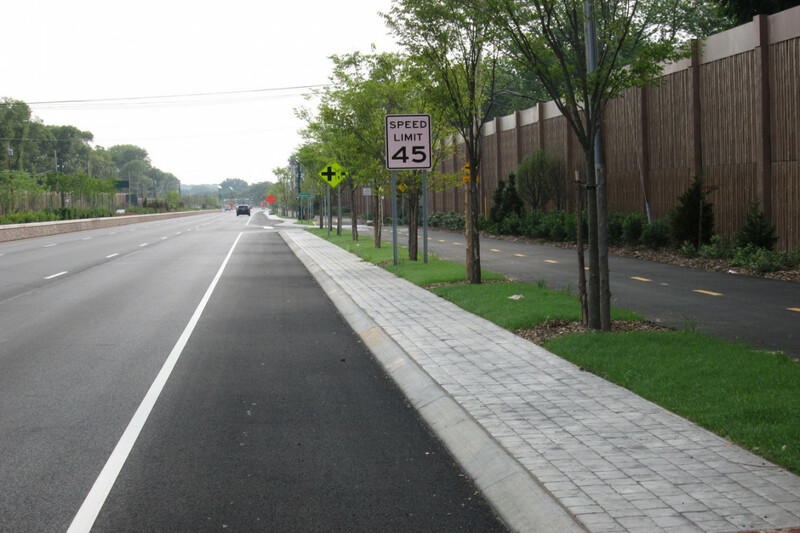 The roadway was constructed in accordance with the NY State Department of Transportation’s “Green Route 347” vision plan. 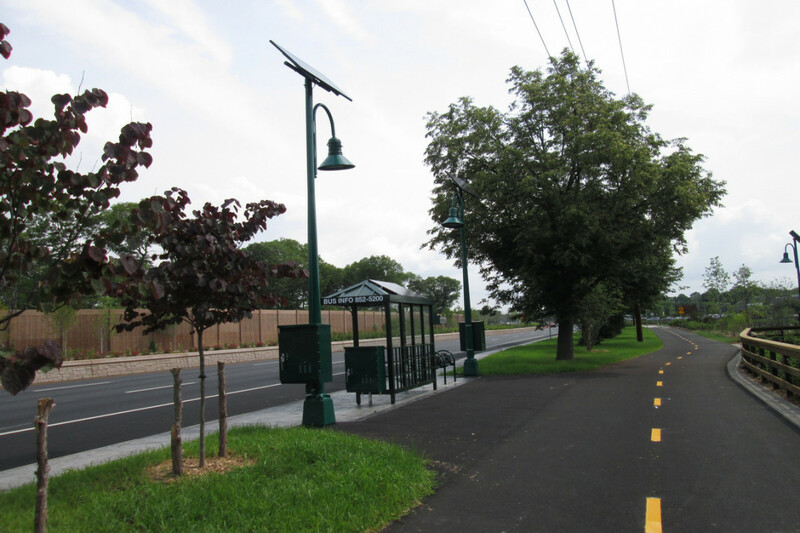 That environmentally sustainable design concept included features such as a parallel path shared by bicyclists and pedestrians, a landscaped median barrier with a decorative concrete finish, extensive landscaping, decorative noise walls, bus kiosks, bike racks, and decorative, solar-powered street lighting. Challenges during construction included safely maintaining and protecting the traveling public on a major arterial highway which carries approximately 50,000 vehicles per day. 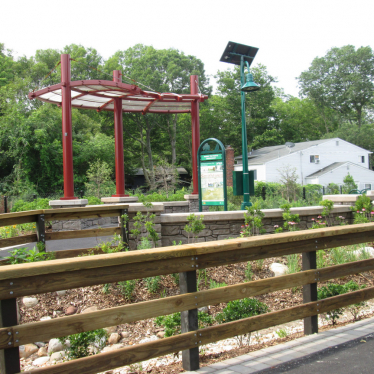 Largest sustainable transportation design-build project on Long Island. 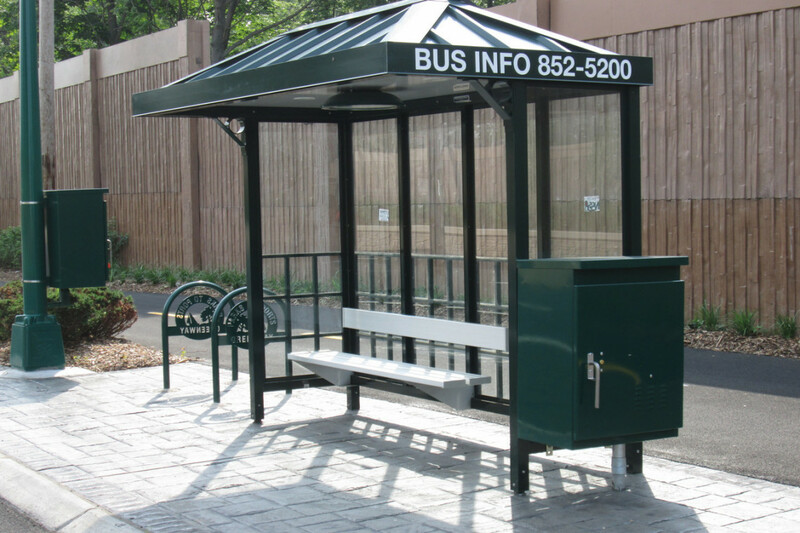 Design, construction, and inspection work performed under a single contract accelerating project delivery. Night time lane closures produced minimal construction impact to travelling public. This was essential to support continued day time traffic flow and to maintain access to businesses and other properties as the work proceeded. Public involvement maintained through communication and transparency.